Mark performed on Show 314 in Orono, ME, recorded on October 25, 2015. A product of America’s rich aural folk tradition as well as classical music, Mark O’Connor’s creative journey began at the feet of a pair of musical giants. The first was the folk fiddler and innovator, Benny Thomasson and the second was French jazz violinist Stephane Grappelli. Working with classical violin icons Isaac Stern, Itzhak Perlman, Yehudi Menhuin and Pinchas Zukerman, he absorbed knowledge and influence from the multitude of musical styles and genre she studied and participated in. With his body of work including 45 feature albums of mostly his own compositions, Mark O’Connor has melded and shaped these influences into a new American Classical music, and a vision of an entirely American school of string playing. Among the highlights of Mr. O’Connor’s multiple Grammy-winning recordings are “Appalachia Waltz” with Yo-Yo Ma and Edgar Meyer spending a year atop the Billboard classical music charts. With more than 250 performances, O’Connor’s “Fiddle Concerto” released on Warner Bros. has become the most-performed modern violin concerto composed in the last 50 years. The “Americana Symphony” recorded by Marin Alsop and the Baltimore Symphony is a first for a modern-day violinist. 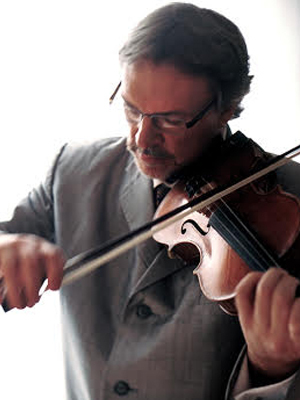 “The Improvised Violin Concerto” released in 2012 is the first of its kind in violin history. At age 13, O’Connor was the youngest person ever to win national fiddling competitions, competing against all ages, amateur and professional. He is still the only person to ever win national titles (open to all ages) on fiddle, guitar and mandolin and he won a record-breaking six CMA Musician Of The Year awards. Mr. O’Connor was a member of three important and influential bands; the David Grisman Quintet. The Dregs and Strength in Numbers. During his twenties, Mr. O’Connor became the most in-demand session musician in Nashville appearing on 500 albums. The O’Connor Method was released in 2009 as “an American grown rival to the Suzuki method”(The New Yorker). It takes an American Classical approach to modern violin playing, offering a technical foundation using American classics. The groundbreaking method is the first string method to feature all American music including the violin duos on this disc, found in the advanced level of Book IV and V of the series. Mr. O’Connor performs on a Jonathon Cooper violin and D’Addario Strings and resides in New York City with his wife Maggie. For more information, visit http://www.markoconnor.com/.